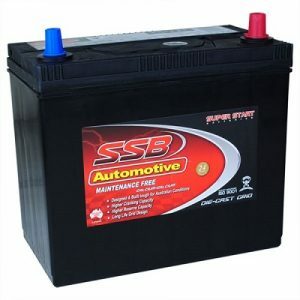 NEED A CAR BATTERY IN BRISBANE? Located in Brisbane and discovered your car, 4×4 or truck battery is flat or needs replacing? Battery Now are the local experts and can come to you with your new battery to get you moving again today! 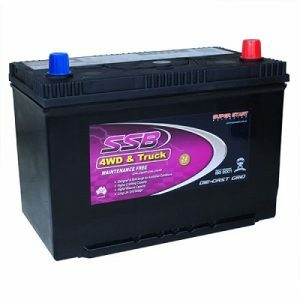 When it comes to car, 4×4 and truck batteries, Battery Now delivers specialist battery replacement services throughout Brisbane 7 days, using premium SSB batteries which provide ultra high performance, superior cranking and maintenance free efficiency, this means trouble free motoring for years to come! Battery Now is a leading mobile car battery replacement service operating in Brisbane 7 days, our local services deliver and fit batteries which suit most makes and models of cars. Not only will our service save you money compared to the road assist clubs, we provide superior batteries so you get more trouble free motoring from Battery Now. Battery Now provide a complete roadside service throughout Brisbane, our technicians can supply and fit batteries for passenger cars, 4wd, vans, light trucks, tractors, marine and motorcycles to name a few – all at realistic prices and delivered rapidly. We understand when your car battery decides to die there is late warning and it’s always at the worst times. Thankfully, you can rely on a trusted service such as Battery Now. Our service vehicles carry a range of batteries to suit most makes and models of cars, trucks and 4WDs. Our new replacement batteries are designed specifically for our harsh Brisbane climate and less than perfect roads, rest assured when you call Battery Now for your car battery emergency in Brisbane, you will get a powerful, premium battery that exceeds your car’s original equipment! As a mobile battery replacement service covering the entire Brisbane area, we come to you when you need us, no membership required or arrival fees – just professional and affordable battery replacement services on-demand 7 days all Brisbane suburbs. Whether you drive an Australian car, Japanese, Korean or European, your local Battery Now service vehicle has the right battery on board for your car, 4×4, SUV or motorcycle. Battery failure is the leading reason for roadside call outs. In the event that your vehicle’s battery is not fault, we have a mobile auto electrical service which can diagnose and provides a solution quickly! All Battery Now service vehicles operating in Brisbane carry batteries which suit European, Japanese, Korean, Australian and American cars and 4x4s, including most trucks and motorcycles! Audi car, SUV and 4×4 batteries can be expensive from the dealership. Our SSB European range and idle stop/start range exceed all Audi vehicle battery requirements, even models with demanding accessory loads such as the Q7! Our battery service will save you a bundle compared to the dealership. Just like most European cars, BMWs have high accessory load requirements and at times, tricky battery installations. Our technicians are trained to deal with all European car battery replacements. We have Holden battery replacement covered, from the Commodore through to the Barina, all years and models. We even carry batteries for the entire HSV range! Holden may have finished manufacturing in Australia but with Battery Now, battery replacement will never be a problem! If your Hyundai battery is flat, call Battery Now today. 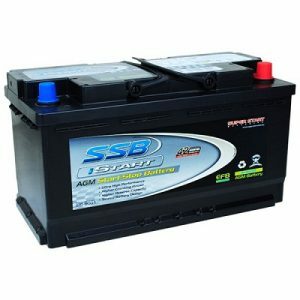 We carry a range of batteries that fit every Hyundai make and model, such as iLoad, i30 and even the Hyundai Terracan. Just discovered your Ford battery is dead? Don’t worry. Battery Now provides Ford battery replacement services on-demand. Whether you drive a Ford Falcon, Territory or Kuga, we have the right battery and come to you! Conventional flooded maintenance free batteries, EFB and idle stop/start batteries, we’ve got you covered for each and every Mazda replacement battery. We come to you fast, save all your vehicle’s memory and install the right battery for your Mazda! A proud Mercedes-Benz owner? Battery flat and stranded? Battery Now comes to you with premium car batteries that have huge reserve capacity for high accessory load European cars. Don’t pay top dollar at your dealership – Battery Now comes to you with an economical service 7 days in Brisbane and Sydney. From Pulsars to X-Trails, if your Nissan has a flat battery, you can rely on Battery Now to have you up and running quick smart. Don’t waste your time with ridiculous dealership prices, when Battery Now expert technicians can solve your battery woes at a price you can afford, anywhere in Brisbane 7 days! We understand how frustrating it can be when your car won’t start. 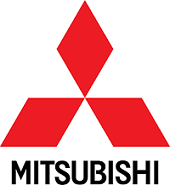 So if you’re in need of a replacement battery for your Mitsubishi in Brisbane, give Battery Now a call on 1300 731 677. No matter where you are – whether it be stranded in the driveway or the car park – Battery Now can send an experienced and professional battery technician to replace your Mitsubishi battery at an unbeatable price. Looking for a Toyota replacement battery that won’t blow the budget? Battery Now’s team of expert technicians are experienced with every make and model of Toyota, so you can rest assured knowing that your beloved car is in good hands. Don’t want to pay ridiculous fees? Need a quality battery installed by a professional? Live in Brisbane? Call Battery Now today on 1300 731 677. Your Kia gets you around, so when it breaks down you need a fast and affordable solution. Luckily, there’s Battery Now! Premium battery brands, expert technicians, affordable prices and we come to you Brisbane wide 7 days! Give us a call today on 1300 731 677. Whether you drive an Impreza or a Forester, Battery Now have the skill, knowledge and experience to be able to replace the battery of every make and model of Subaru. We come to you anywhere in Brisbane 7 days a week and we guarantee we can beat the price of your dealership. Subaru replacement battery in Brisbane? Call in the experts at Battery Now today on 1300 731 677 or fill out an online form to book your service. Battery Now specialises in battery replacement, meaning no matter what Volkswagen you drive, our technicians can fit your new battery quickly, easily and at a significantly lesser price than that of your dealership. So if you’re in Brisbane and are looking for a battery replacement service for your Volkswagen that comes to you 7 days a week, anywhere in Brisbane, carries only premium battery brands and is affordable, call 1300 731 677. At Battery Now, we’ve developed a strong reputation for fast, professional service at prices unmatched by our Brisbane competitors. Our batteries are of the highest quality and our technicians have the knowledge and the experience to install them properly, no matter what kind of Honda you drive. Live in Brisbane and need a replacement battery for your Honda? 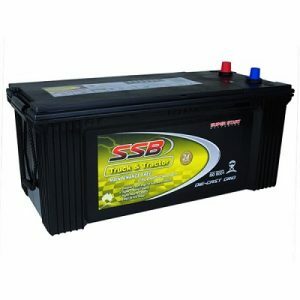 Battery Now has you covered with great prices and Brisbane wide, 7 day service. From Isuzu utes to trucks and cars, if your Isuzu vehicle needs to have it’s battery replaced, Battery Now can have it done quickly, expertly and at a price that won’t blow the budget Brisbane wide 7 days! Don’t rely on temporary solutions and exorbitant dealership prices, rely on Battery Now to have you back on the road … fast! 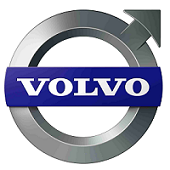 Volvo vehicles are some of the best available on the market today, so when your Volvo’s battery dies, you want only the best of the best in battery technicians. Battery Now are experienced, professional and our technicians are available Brisbane wide 24/7 to get you back on the road. Best of all, no more ridiculous dealership fees! With Battery Now’s reasonable prices, there’s no need to blow the budget when you blow a battery. Just because your Jeep is used to rough road driving, doesn’t mean it shouldn’t get the luxury treatment when it’s time to replace your Jeep battery. Our technicians come to you anywhere in Brisbane 24/7 and their skill, knowledge and experience is second to none. Give the Battery Now team a call today on 1300 731 677 to organise your Jeep battery replacement in Brisbane. The best part? We’re less expensive than your dealership, we guarantee it! 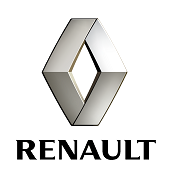 When the time comes for your Renault battery to be replaced, don’t waste your time and money on a temporary dealership solution. Battery Now provides professional and rapid Renault battery replacement services at your specified location and your specified time 24/7 Brisbane wide. Call 1300 731 677 today for premium battery brands and unparalleled service at a great price. Need a new battery for your Skoda in Brisbane? No worries! Battery Now stock only the best in premium battery brands and our technicians are available 24/7 Brisbane wide for delivery and installation. 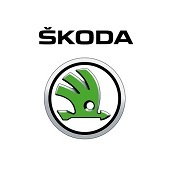 Talk to the team today on 1300 731 677 about Skoda battery replacement at the most unbeatable prices you’ll find anywhere in Brisbane. Love your Land Rover? So do we. With Battery Now, you can rest assured knowing that your Land Rover is in good hands with our expert battery technicians. Best of all, we come to you Brisbane wide 24 hours a day, 7 days a week. When it’s time for your Land Rover battery replacement, you can trust the experienced technicians, convenience and low prices at Battery Now. If we have missed your particular car manufacturer above, don’t worry. We have the battery for your car. To get a quote from Battery Now, just call 1300 731 677 or jump over to our contact form and we will be in touch shortly. Operating since 2008, Battery Now is a trusted name in automotive battery replacement. Our technicians are local, trained and insured, giving you peace of mind and outstanding service. As an alternative to auto clubs, Battery Now doesn’t require membership or have additional call out fees, just a fixed price that’s competitive and using high performance batteries you can rely on. Looking for a local mobile battery replacement service in Brisbane? Battery Now has Brisbane’s Southside, Bayside, CBD, Western Suburbs and Northside covered 7 days. NEED A CAR BATTERY IN ABBOTSFORD?